CAMPAIGN UPDATE: Thanks to amazing people from all over the world we've raised over $140,000 so far to provide bottled water to Flint residents, and continue our rvacommunitycloset.com #SaveFlintChallenge social project in 2019. This campaign was also recognized by Forbes. Hello my name is Lance Cooper and I'm an activist/community leader located in Richmond, Virginia. 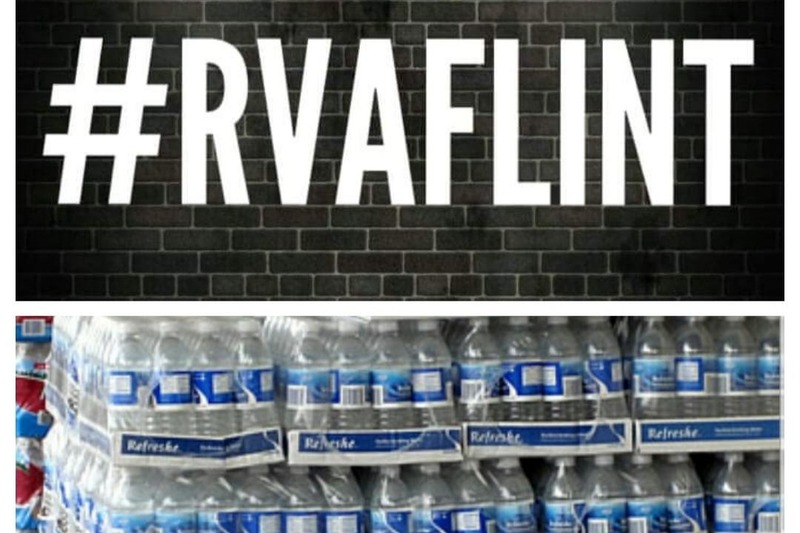 RVA Flint: #SaveFlintChallenge is powered by rvacommunitycloset.com, and was created because we want to help the residents of Flint recover. The mission is to get my city and the world, actively involved in supplying the residents of Flint, Michigan with clean drinking water as a result of the contamination, and keep the world aware of this ongoing crisis. I'm launching the Save Flint Challenge and calling on others to start a GoFundMe or fundraiser in their neighborhoods to get more bottled water to Flint, Michigan. Hopefully the GoFundMe community will answer the call. Accept the challenge. Help us save Flint. 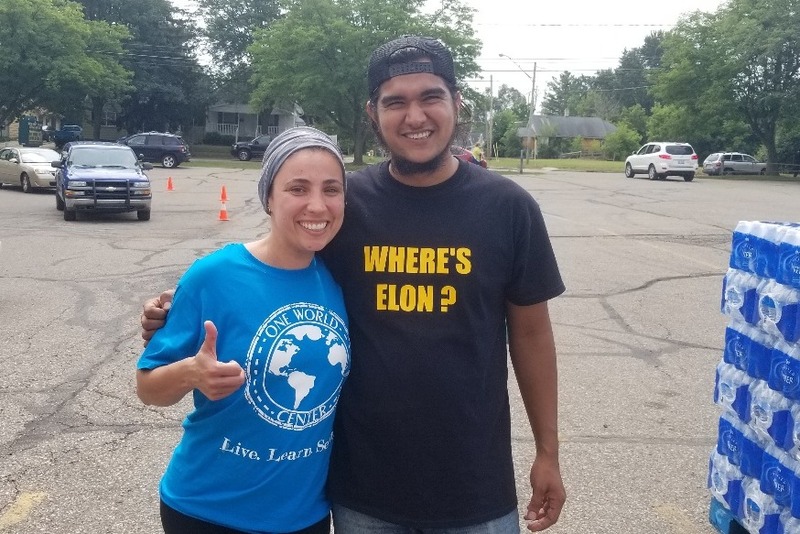 Check out some familiar names who support our #SaveFlintChallenge GoFundMe campaign: Rosario Dawson, Rosanna Arquette, Brie Larson #CaptainMarvel , Van Jones, Ben Stiller, Kerry Washington, Vivica A. Fox, Frances Fisher, Lou Diamond Phillips, Eric Lange, Sandra Bernhard, Monica Lewinsky, DL Hughley, Alyssa Milano, Chelsea Clinton, Paris Jackson, Chelsea Handler, David Arquette, Mira Sorvino, Asia Argento, David Hogg, Deepak Chopra, Jon Cooper, Scott Dworkin. 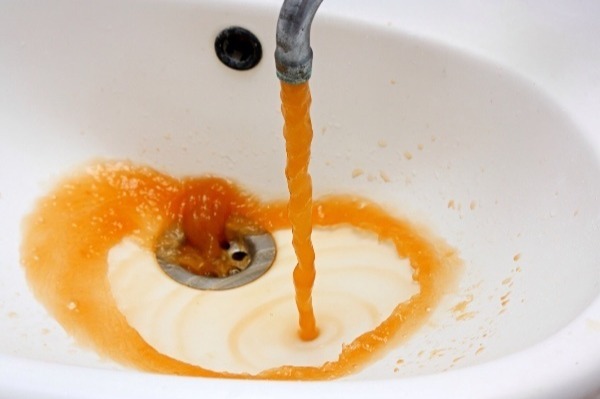 Flint's water crisis began in 2014 when the drinking water source for the city of Flint, Michigan was changed from Lake Huron and the Detroit River to the cheaper Flint River. The decision to switch the city of Flint’s drinking water source to the Flint River was pegged as a cost-cutting maneuver aimed at saving $5M over a two-year period. 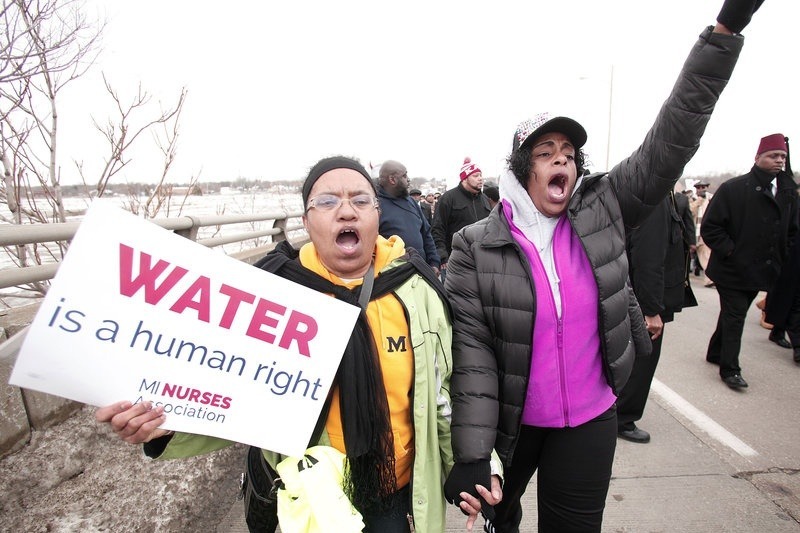 This community malpractice resulted in lead contamination in Flint's water, which poisoned tens of thousands of innocent people in this community. Researchers studying Flint lead water crisis found a decrease in pregnancies, and an increase in fetal deaths among Flint women. Fertility rates dropped by 12% while fetal deaths rose by 58%. The water change is also responsible for an outbreak of Legionnaires' disease in the county that has killed 12 people and affected another 77. Related Article: Flint Clean Water GoFundMe Campaigns Get Border Wall Boost. April 6th Gov. Rick Snyder announced the end of a free bottled water program in Flint, citing the water quality was acceptable, but that isn't the truth. 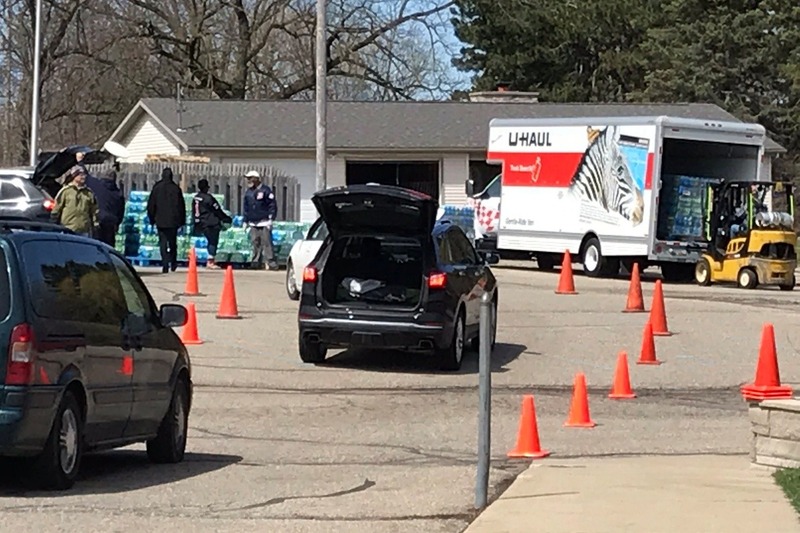 The residents of Flint STILL don't have access to clean drinking water, unless someone in the community like Little Miss Flint or Pastor Rob, provides it for them. Further investigation reveals the replacement of all the lead pipes necessary to provide clean water to Flint residents, won't be completed until 2020. 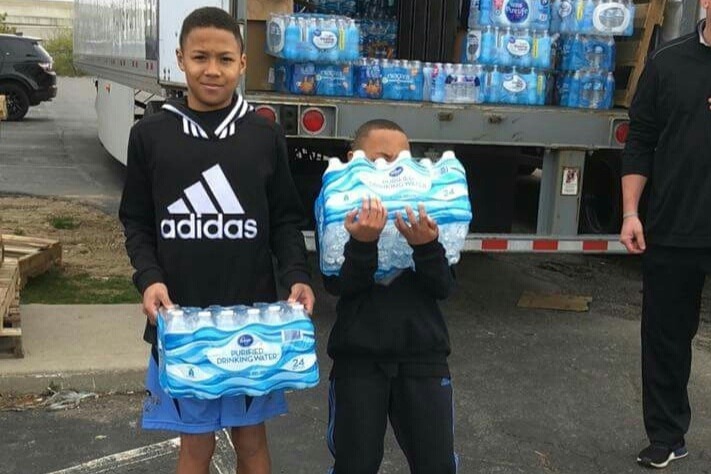 Justin and Jayson Ruffin in Indianapolis accepted the #SaveFlintChallenge. This is where #RVAFlint comes in. Our mission is simple, we're fundraising to provide clean drinking water for the residents of Flint. If we reach our goal this campaign will transform into a relief mission to assist other areas with providing clean water, and we will expand our agenda to address other important issues like mental health, gun violence, etc. 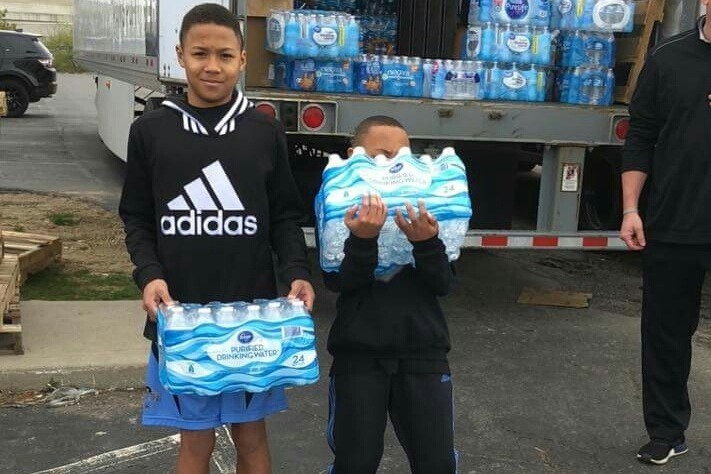 All funds will be personally withdrawn from our secured account, and 100% of every donation you provide will be invested in maintaining this #SaveFlintChallenge campaign, and used to purchase bottled water from outlets we've chosen such as, Meijer Grocery Store, CleanItSupply.com, Sam's Club, etc. & shipped directly to Flint, Michigan. Securing trucks is our most complicated task. As mentioned in our very first campaign update our bulk bottled water pallet cost is roughly 278.00 per pallet (54 cases per pallet, 35 bottles per case) including delivery. We will also be making donations to other water distribution organizations serving Flint, and assisting random residents. The ultimate goal is to raise $50,000 and provide over 250,000 bottles of water to Flint residents. 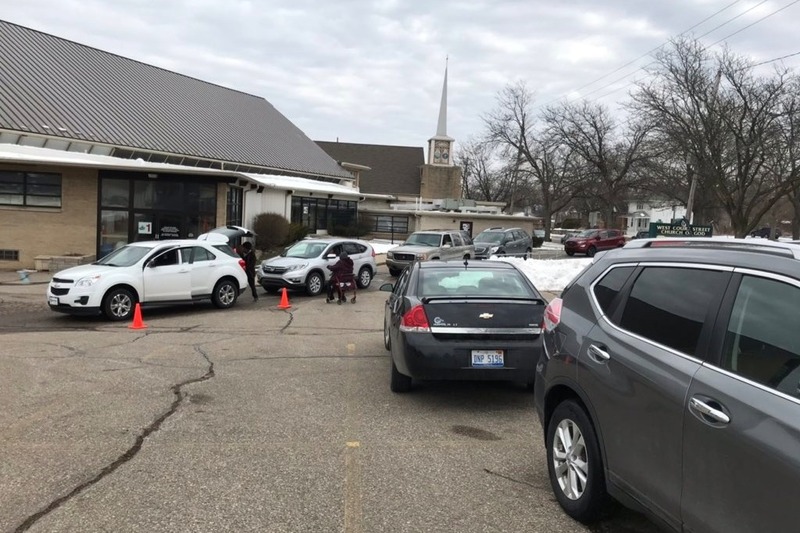 West Court Street Church of God in Flint, Michigan will be one of several drop off destinations selected. If you are in the Richmond, Virginia area and want to directly donate cases of water please send me a direct message. March 29th: The #SaveFlintChallenge donated to Little Miss Flint's NYC Shorty Awards campaign. December 30th: The #SaveFlintChallenge donated to Little Miss Flint & PYB Water Drive. December 30th: The #SaveFlintChallenge donated to West Court Street Church of God, and committed to funding their water distribution program for the entire first quarter of 2019. December 27th: The #SaveFlintChallenge donated to Little Miss Flint & PYB Water Drive. October 23rd: The #SaveFlintChallenge donated $1,951.48 to assist West Court Street Church of God with their water distribution program for November. 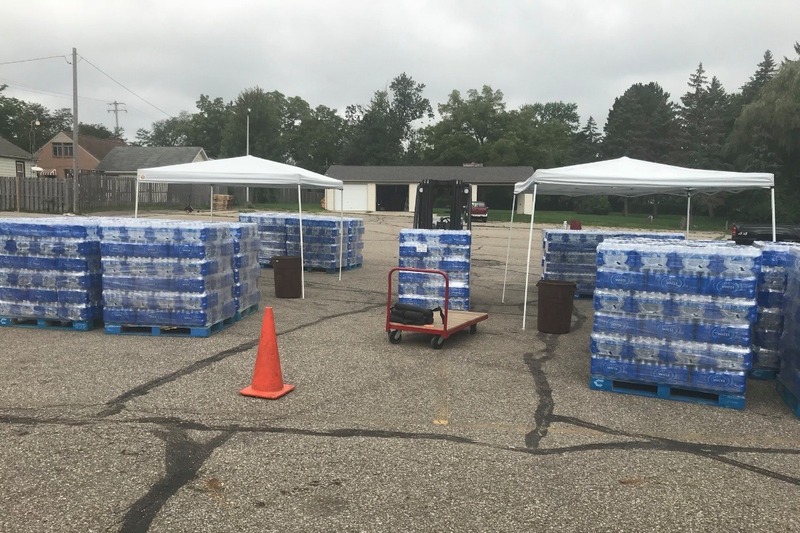 August 18th: 78,500 bottles of water. 389 families served, all distributed in Flint, Michigan. The line was wrapped around the block, but we had a great team and helped some great people. Thank you to everyone supporting our #SaveFlintChallenge. August 12th: The #SaveFlintChallenge donated to Little Miss Flint & PYB Water Drive. 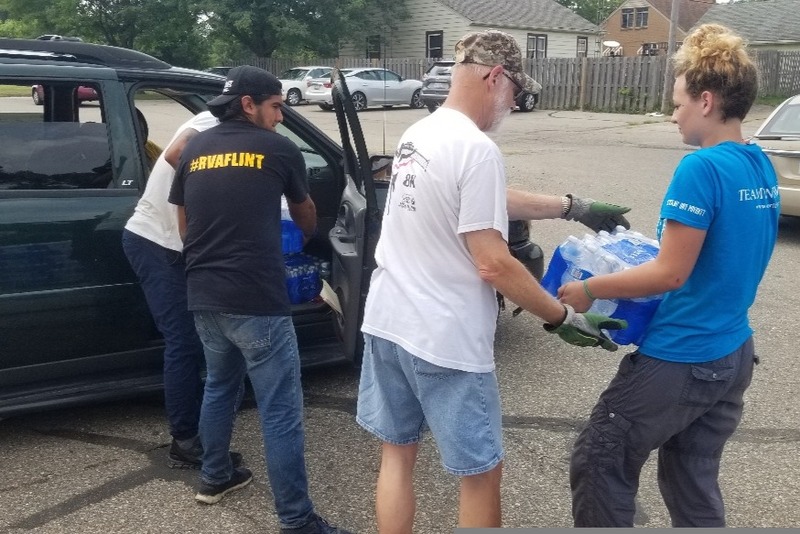 The #SaveFlintChallenge is a community improvement social project centered around water relief for Flint, and encouraging everyone to extend a helping hand in communities other than their own. Thank you for contributing and sharing our campaign. For the latest updates and activity check out www.rvacommunitycloset.com, or connect with me on social media. Donate. Tweet. Tag. Like. Share. Together we can all help make a difference in Flint. Flint still doesn't have clean water. DONATE ON EARTH DAY! We are only $5,900 away from our Earth Day goal. 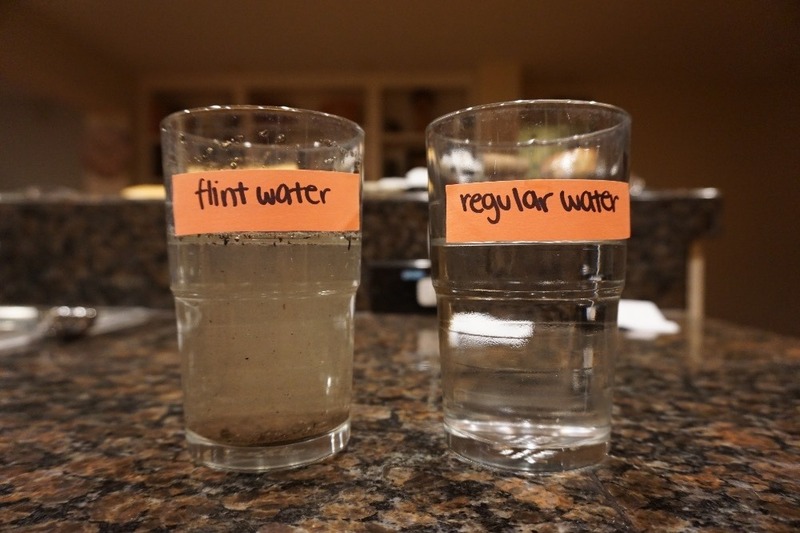 Support our #SaveFlintChallenge campaign to help get clean water to more Flint residents. We are asking 1,000 people to donate $6, or 600 people to donate $10. All contributions appreciated today. Let's make this Earth Day about helping Flint. "71% of the Earth's surface is water-covered, and everyone deserves clean water." Please help! The gofundme for the Louisiana churches burned down raised $1 million in 6 days. $1 billion was raised to rebuild Paris' Notre Dame after fire. I've been campaigning hard for nine months to get clean water to churches & residents in Flint, Michigan and can't even reach $160,000. Please consider donating or sharing our #SaveFlintChallenge campaign. We can do better than this. Judge Says US Government Can Be Sued For Flint Water Crisis. Federal Judge Linda Parker didn't determine whether EPA employees were negligent when Flint's water system became contaminated with lead in 2014 and 2015. The decision at this stage is more narrow, with the judge saying Thursday that the government isn't immune to a lawsuit. Parker says EPA employees knew lead was leaching from old pipes because Flint's water wasn't being properly treated. She says the EPA also knew that Michigan regulators were misleading residents about the quality of the water. The judge says the "lies went on for months." The Associated Press sent an email to the EPA seeking comment Friday. Please keep donating to this #SaveFlintChallenge campaign. Together we are making a difference. I've been campaigning hard for nine months to get clean water to Flint. Excited to announce we are now only $1,400 away from our April goal. "The lines of cars are still long, and resources are still running low." Please consider donating or sharing the #SaveFlintChallenge campaign so we can crush this goal early!!!! We are so close to the finish line. All contributions are greatly appreciated today.